India. It’s always been on my destination bucket list but I haven’t made it there – yet. Picturing a bustling Indian city I imagine bright colours, heat and plenty of aromatic smells, all of which are synonymous with Indian cuisine. I realise now as I write ‘Indian cuisine’ that this is a far too all-encompassing phrase for such a vast country with so many regions, all of which have developed a style of cooking that is integral to their local culture and community. 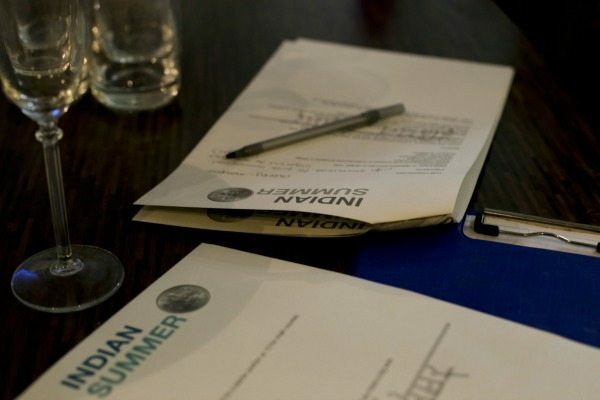 Indian Summer’s founder, Minesh is from Gujarat, a state in India which is often referred to as the ‘Jewel of western India’. Gujarati food is primarily vegetarian and is believed to be one of the healthiest cuisines in India. Sweet marries with salty and heat is often added to dishes to taste by using spicy chutneys and sauces. This I learnt from Minesh after attending a cooking lesson with Restaurants Brighton. 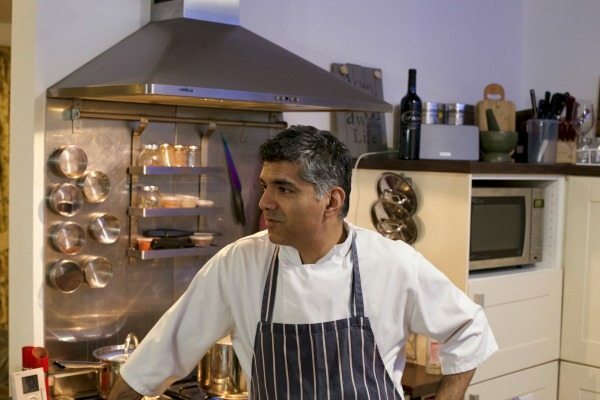 Minesh has run Indian Summer alongside his team for fifteen years and found he needed some space from the busy kitchen environment that goes hand in hand with a successful restaurant. 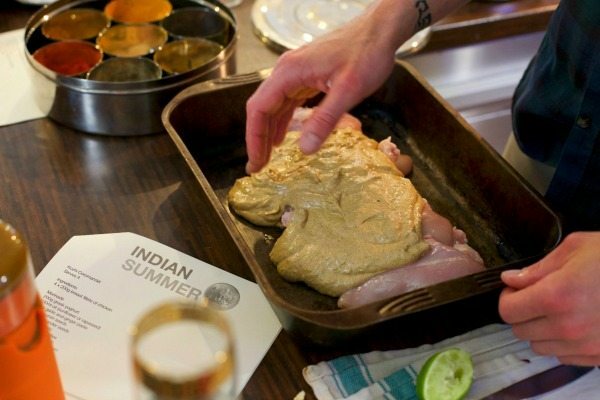 Enter the idea of taking the kitchen to the good people of Brighton, teaching the secrets of Indian Summer that have been so popular over the years in a domestic environment. As you can imagine – it’s been popular. Brightonians are renowned for being a creative bunch with a thirst for not only a (craft) beer but knowledge of other cultures and cuisines. 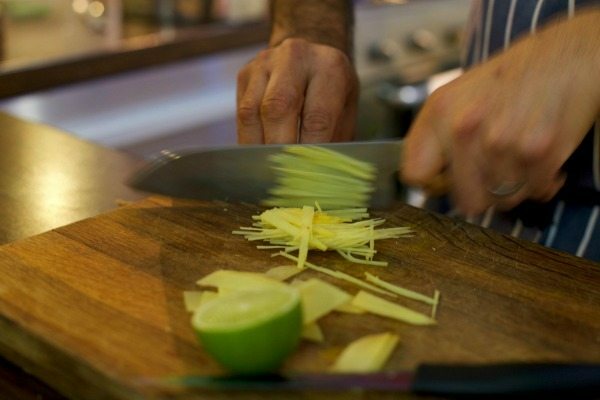 At just £140 for an evening lesson (around 5 hours) it’s a total bargain, as Minesh prepares his travelling chef gear and brings enough ingredients to feed four people (generously). The lesson always begins with an introduction to Minesh himself and how his upbringing shaped the way he feels about cooking. Many of his mother’s recipes have been tweaked and added to the Indian Summer menu over the years and it’s clear that there are strong family roots throughout the business, not only from the chefs’ backgrounds but with the team of staff – many of whom have worked at the restaurant for years. There’s a choice of 3-4 dishes for each of the three courses in the lesson with plenty of options for vegetarians. Once you’ve learnt about the spices and ingredients it’s time to roll up sleeves and get cracking! We started with Summer Island Prawns served with a sweet and tangy sauce (typically Gujarati). After a quick competition to see who could do the best presentation we tasted each other’s efforts and then moved our attention onto the main course – Kozhi Coromandel. We had previously marinated our chicken in thick greek yoghurt (a natural tenderiser) and a mix of spices which had been toasted in the pan before having a quick whizz in a coffee grinder. Ideally the marinade should be kept on the chicken for two days or at least overnight, but seeing as we were cooking that evening we did this step right at the beginning of the lesson and let the yoghurt do it’s work. The chicken was popped in the oven for 20-25 minutes which gave us time to make a spinach pea rasedar sauce to go with the Kozhi Coromandel. The sauce was an education in the science of tasting as you go along, it was incredible how the flavours took shape after each ingredient was added, and Minesh made sure to advise on any extra seasoning needed. If you think the simple part would be the rice – then you’ve obviously not worked in an Indian restaurant! Minesh and his team take rice seriously, checking the quality by ensuring the grains are all the same colour and quality before gently washing it 6-7 times. 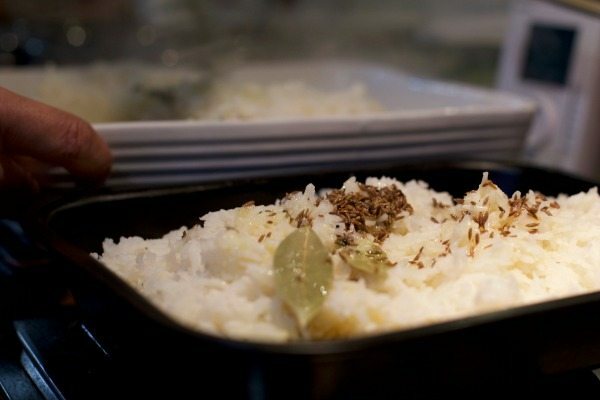 Tempering is added to the cooked rice to create a beautiful fragrant dish to go alongside the chicken. Dessert was a super quick Kulfi cheesecake, made with crushed shortbread and topped with a mixture of soft cheese and mascarpone mixed with pureed mango. We’d brought our own wine to go with the meal, heading to the newly opened Seven Cellars in Seven Dials. Matt, one of the owners was really helpful in matching different wines with the dishes we were going to create, and we clinked away happily after making our selection. 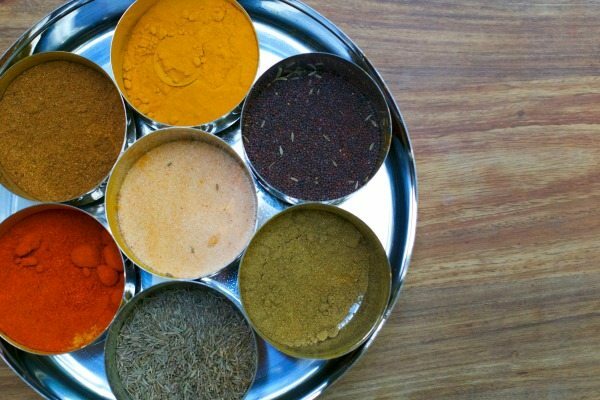 I can thoroughly recommend a cooking lesson with Minesh, he is patient, hugely knowledgeable and keen to educate the people of Brighton about Indian cooking techniques. I came away with the warm feeling that we had put heart and soul into our dishes… even if we did have to wash the rice 6 times! 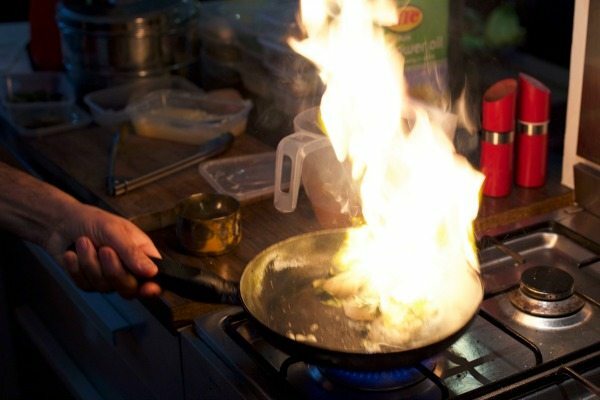 Minesh offers cooking lessons within a 10 mile radius of the restaurant. 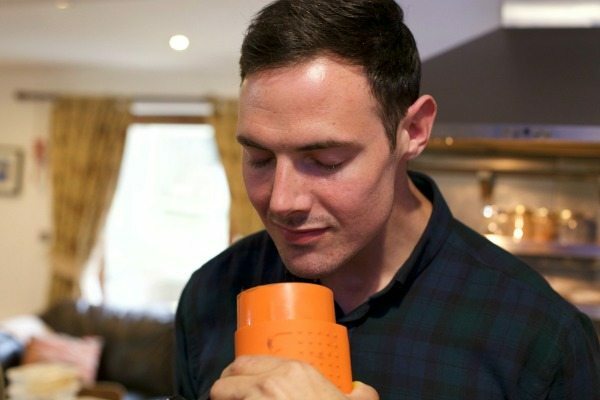 All ingredients are included and brought to your house, alongside any extra equipment you may need. Classes are £140 for 4 people (excludes drinks). Book soon to ensure your space – weekends are very busy!